Precision engineered and hand finished! Currently probably the lightest disc wheel in the world! The same aerodynamic advantages and ride quality as its lighter cousin with the same quality rim and hub. 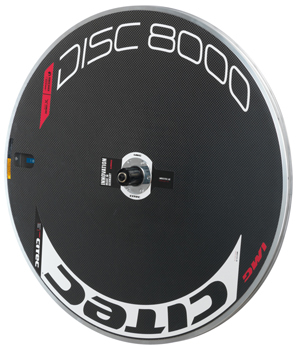 The 80 mm deep composite rims in conjunction with the unique carbon blade spokes offer outstanding aerodynamic qualities ideally suited to time trial and Triathlon events. 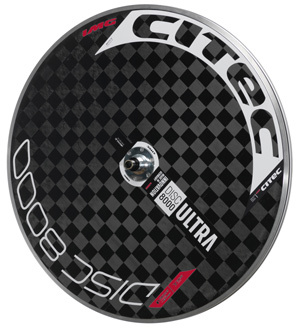 The 63 mm deep composite rims in conjunction with the unique carbon blade spokes offer outstanding aerodynamic qualities ideally suited to time trial and Triathlon events for slightly windier events. 12 spokes in the front wheel and 21 spokes in the rear wheel. The new aerodynamically optimised Carbon-Aluminium Composite rim for clinchers features 80 mm depth. Top marks for aerodynamics! 12 spokes in the front wheel and 21 spokes in the rear wheel. New optimised Carbon-Aluminium Composite rim for clinchers with 63 mm depth. Excellent aerodynamics!